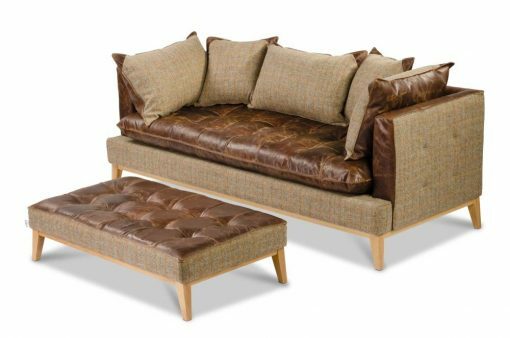 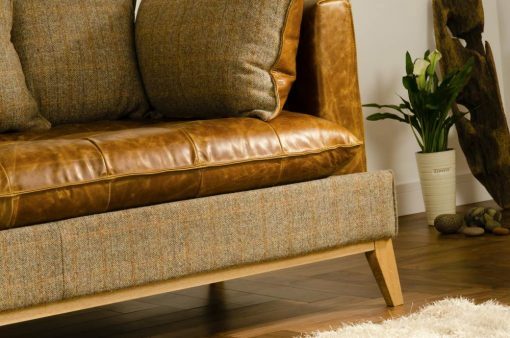 The all-time classic Lomond leather sofa with a twist! 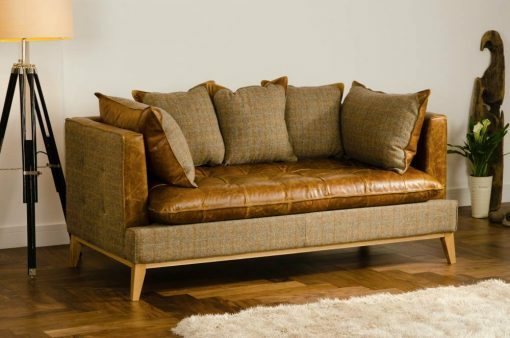 With its gently curving arms, this range has clean, elegant lines that work well in classic or contemporary settings. 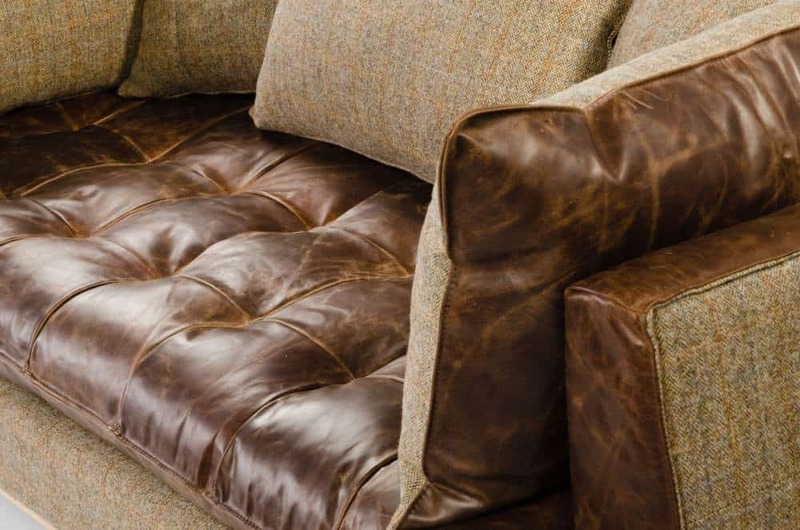 Full aniline, uncorrected top grain vintage Italian leather collection produced using traditional manufacturing techniques… this collection boasts all the original design features with the added double stitching feature crossing the base and back cushions. Available in a choice of colors and contrasting fabrics. 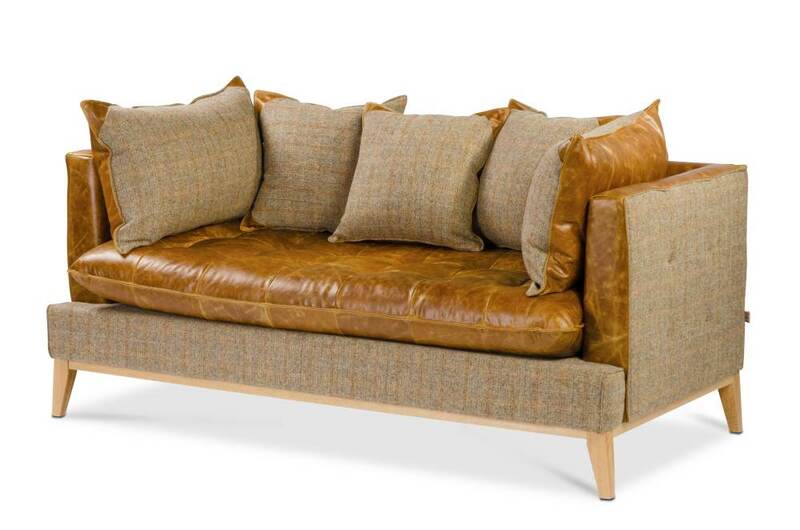 This sofa is currently on show in store with three fabric books to choose your look! There are lots of different styles to choose from in this range of well-made sofas, chairs, stools and benches.